Anytime you are in need of getting a new floor for your home, its appearance, quality, and price should always be important. But when it comes to purchasing new tile floors for any room in your home, safety should also be a very crucial factor too. Even the highest quality tiles can be unsafe in areas where wet feet and general high traffic are, be it in or outside of the home. Usually, using porcelain tiles means a slippery surface that can lead to possible injury and more expenses from rugs or runners. While this post isn't for those who have glossy tiles now, it is for anyone who would like install a new safe and durable tile for their floors or even walls. 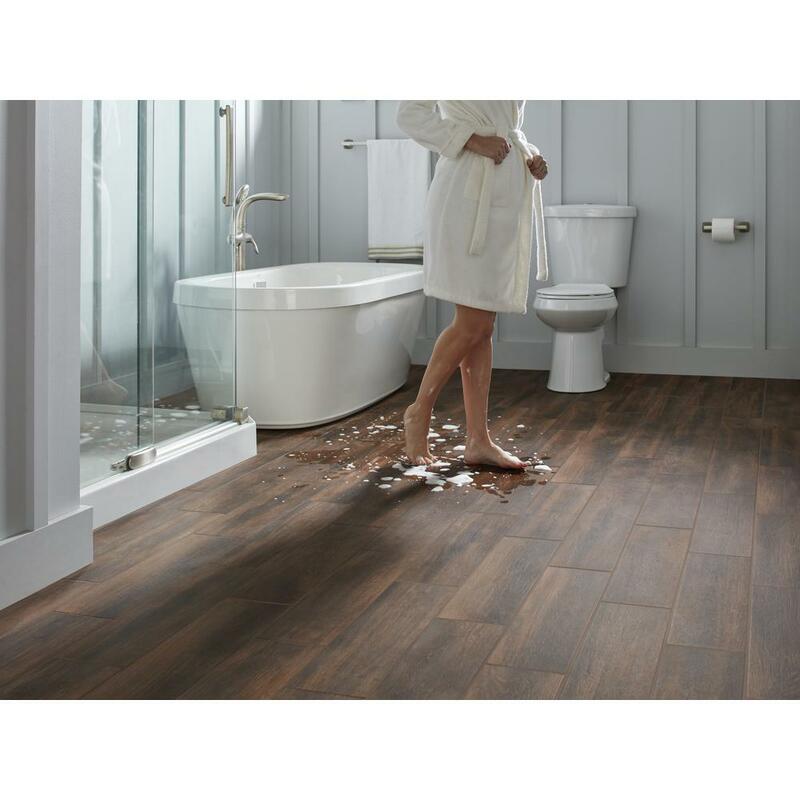 Enter the LifeProof Slip Resistant Porcelain Tiles, available only at The Home Depot! Porcelain tiles in and of themselves are a very durable and not too expensive choice when it comes to a new floor for your home. They are less pricier than their natural stone counterparts and are more durable than the lesser quality ceramic tiles. 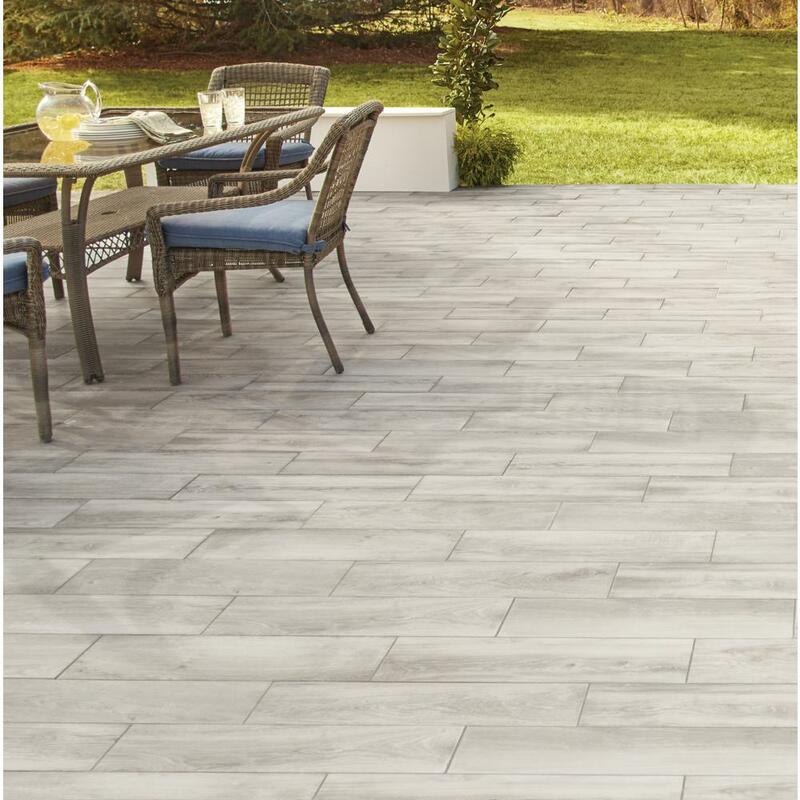 Since porcelain is made at a higher temperature than ceramic, its durability means you can install it outdoors due to it being frost-proof in nature. Of course, tile outdoors can be sometimes unsafe when wet from rain. This is again where the LifeProof Porcelain Tiles are the best choice when it comes to tiling any outdoor social area as well as indoor where water is a constant issue such as a full bathroom. These porcelain tiles come in various looks and colors, and are some of the most slip resistant tiles out on the market. So what just makes them so safe for a new flooring choice? The key is in it's specifications. For starters, to accurately rate a tile's effectiveness against slippage is determined by a rating called its COF, or coefficient of friction. Any good tile floor surface should have around at least approx. a .40 rating. While I won't get into details (and it is lengthy yet interesting) on how this measurement is done, be mindful that the LifeProof Porcelain Slip Resistant tiles all carry a .60 rating. This rating exceeds ANSI ratings, and is perfect for when ADA compliance is needed for light commercial floors. This data may not mean much for someone tiling an upstairs half bathroom, but it can mean a lot to someone tiling the floors of a business. This, alongside its stain and scratch resistance makes it perfect for any home or commercial floor. If installed properly, these tiles can give you a very safe and durable impervious surface for just about anywhere in your home, including shower walls. 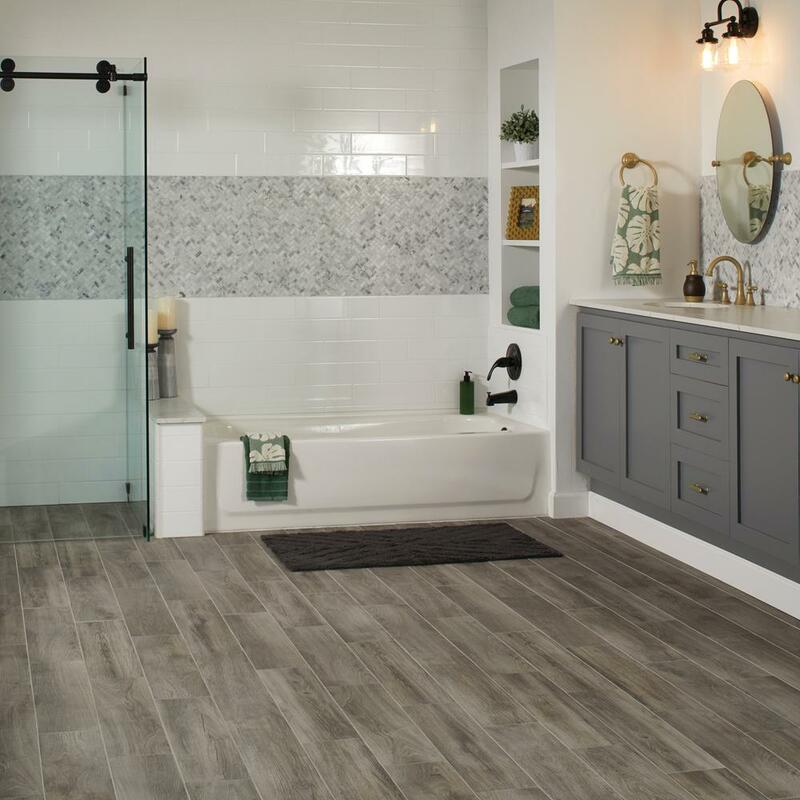 For kitchen and bathroom areas, it's always the best option to install this tile over a tile backerboard surface to give yourself a true waterproof flooring system. And as with any tiles you install, be sure to seal after grouting so as to give another added level of protection. The only difference between these porcelain tiles versus others is simply in its surface being more durable. Therefore, you'll need to install it in the same manner as you would those tiles. 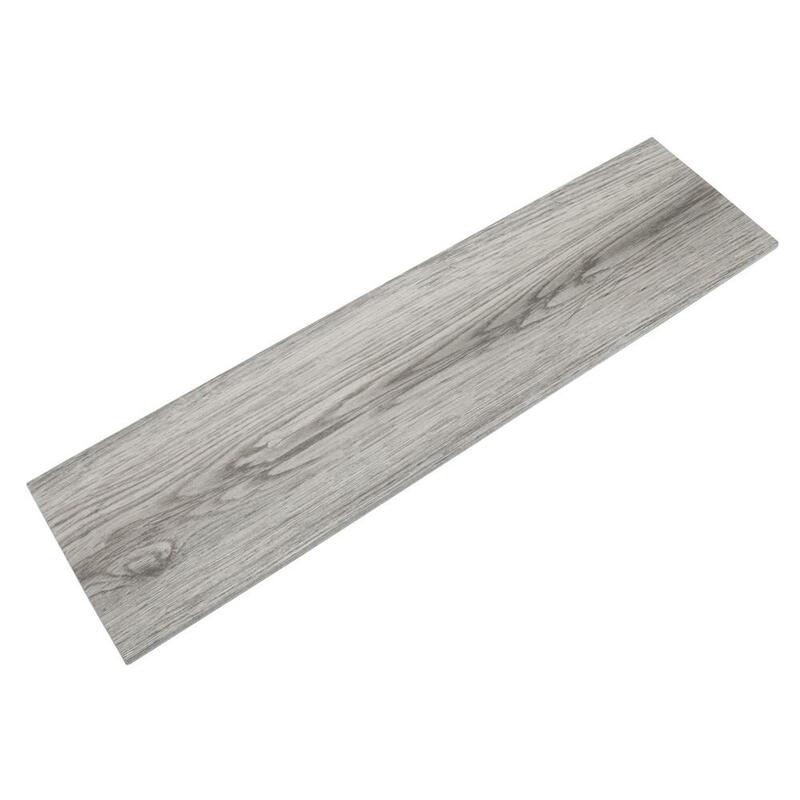 As of this post, these tiles come in 6 inch wide by 24 inch wood look planks that can easily be cut down via a tile saw. This look will give any room a fresh updated look that is still timeless in appearance. 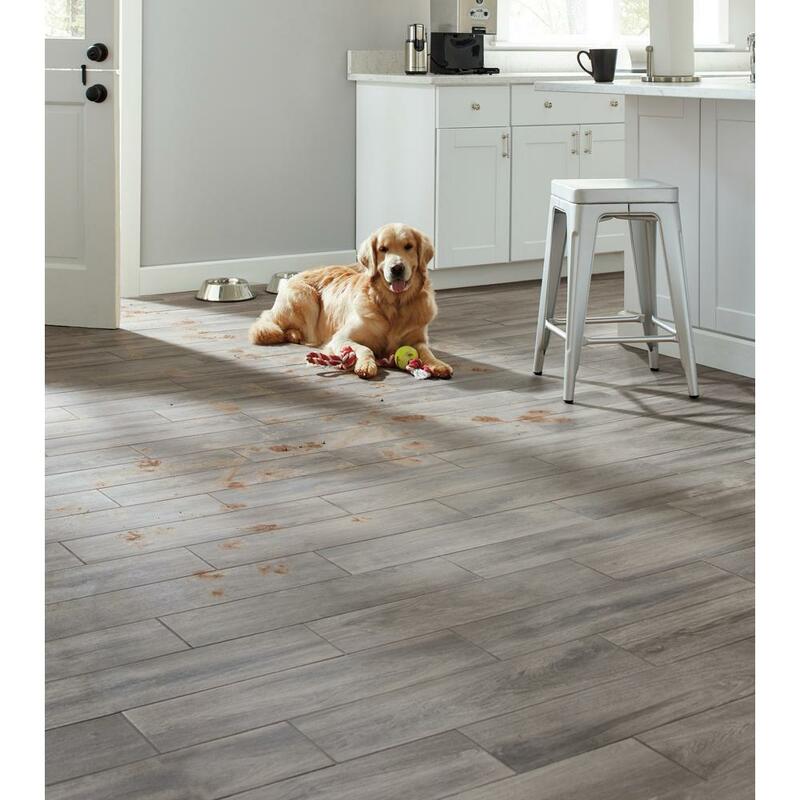 So in summary, if you are looking for a long lasting, durable, safe, and cost effective new floor, look no further than LifeProof Slip Resistant Porcelain Tiles. They are available at your local Home Depot as well as online! And for any further questions, please do not hesitate to ask us here!